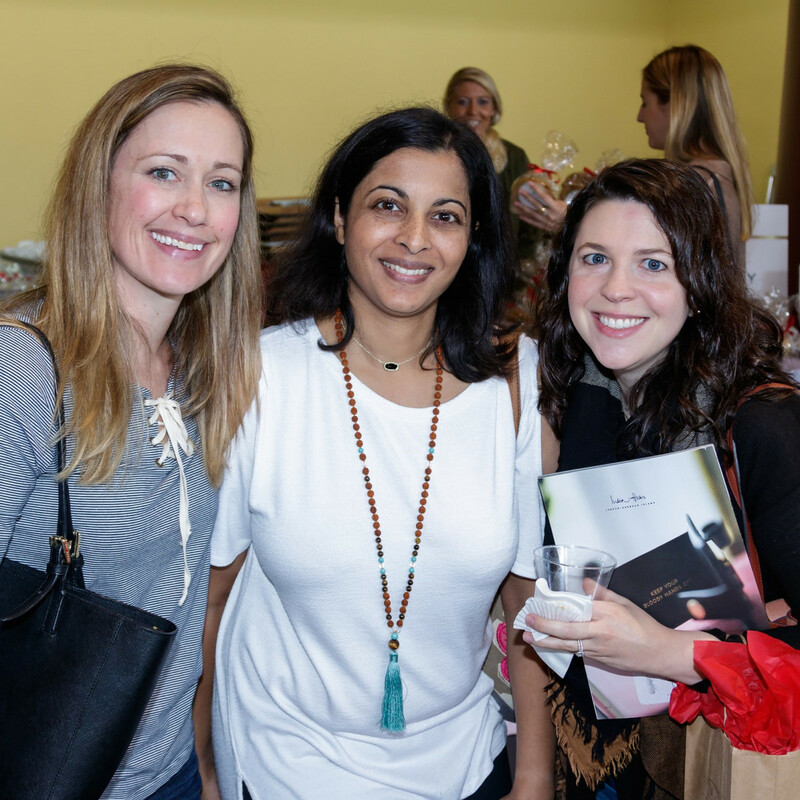 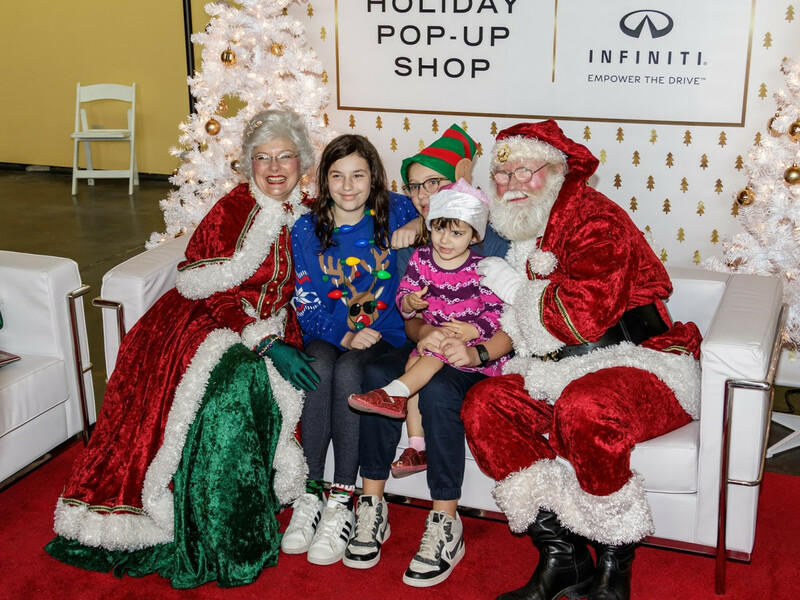 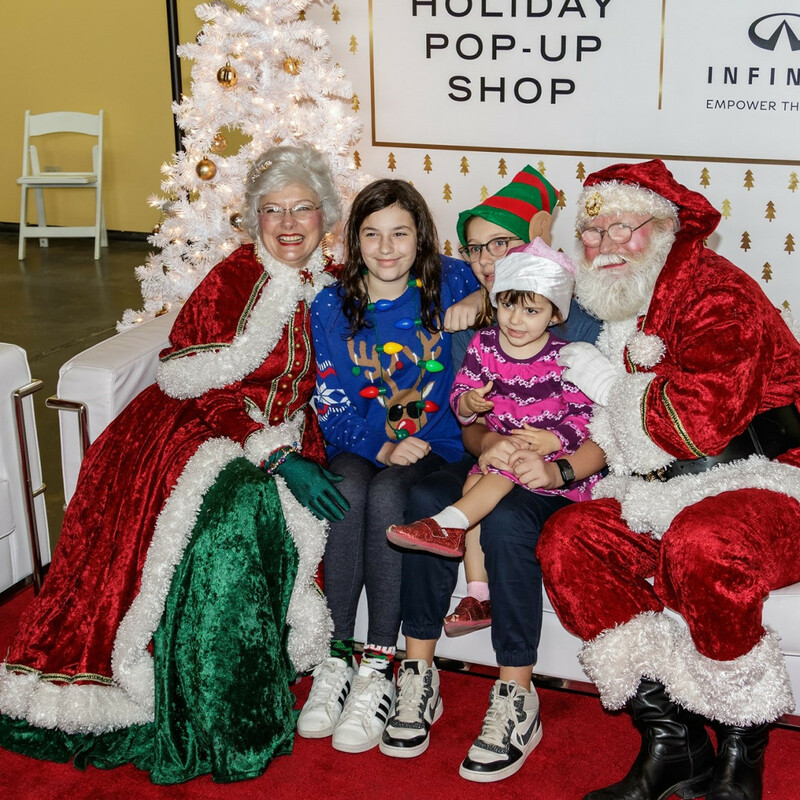 About 1,200 shoppers brought their gift lists to the 2017 CultureMap Holiday Pop-up Shop, eager to find presents to put under the tree — and to have a great time while doing so. 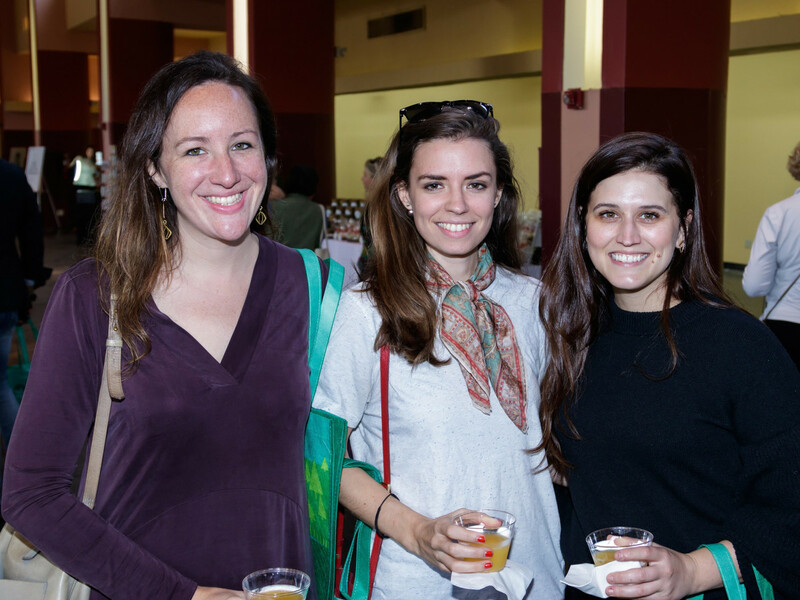 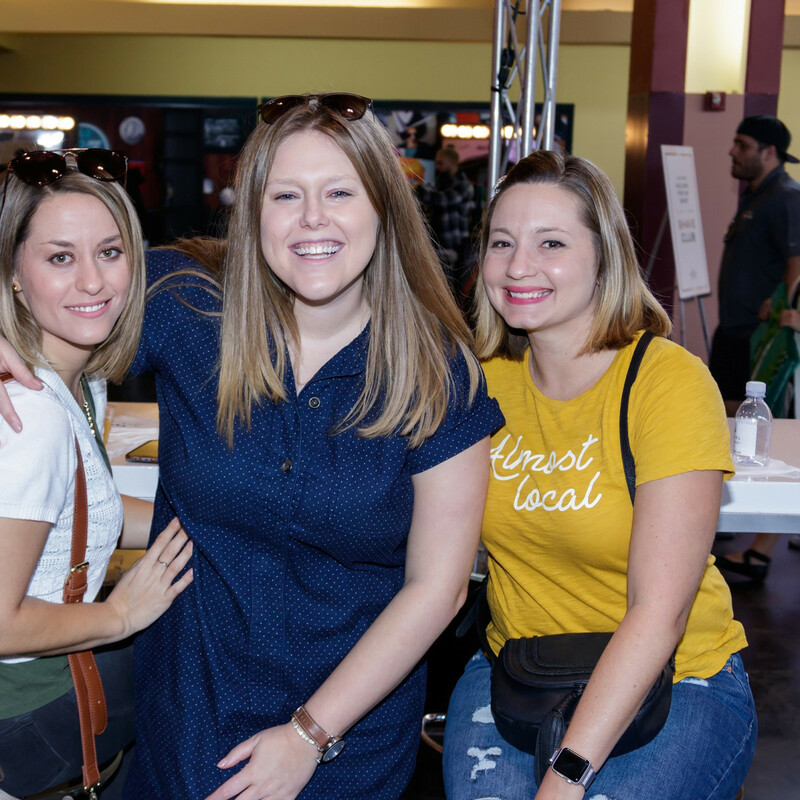 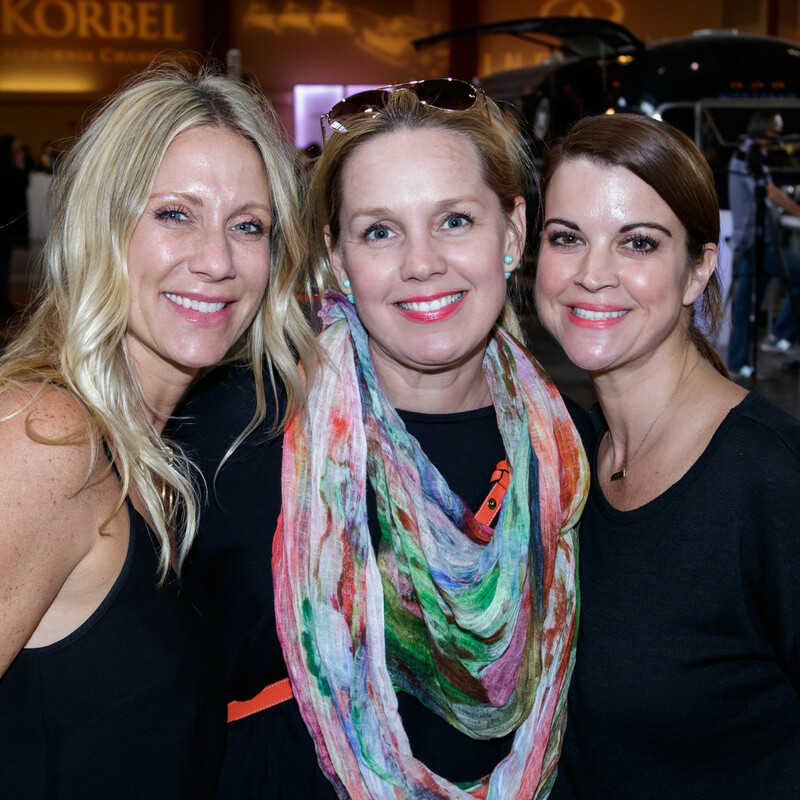 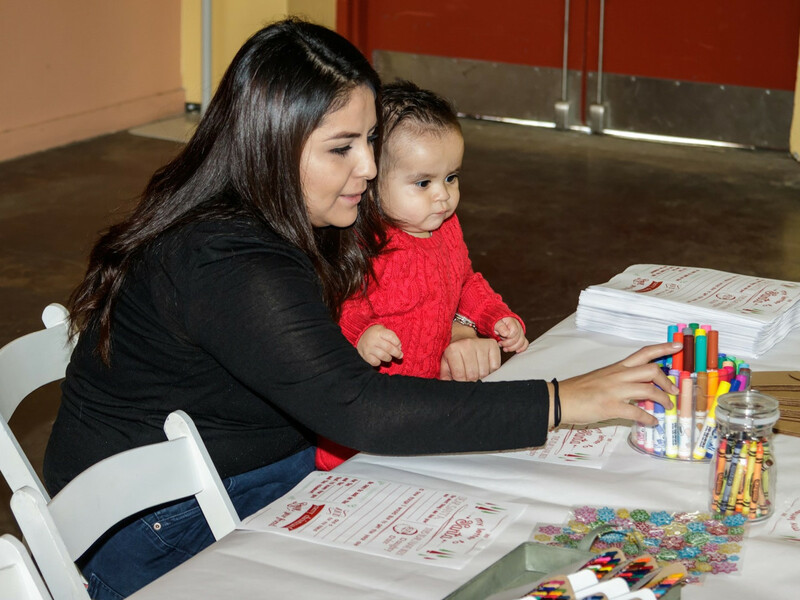 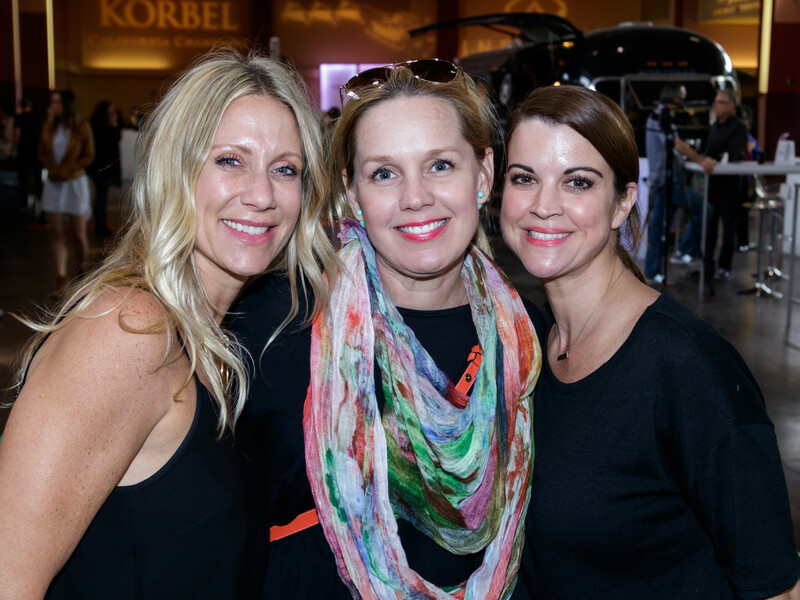 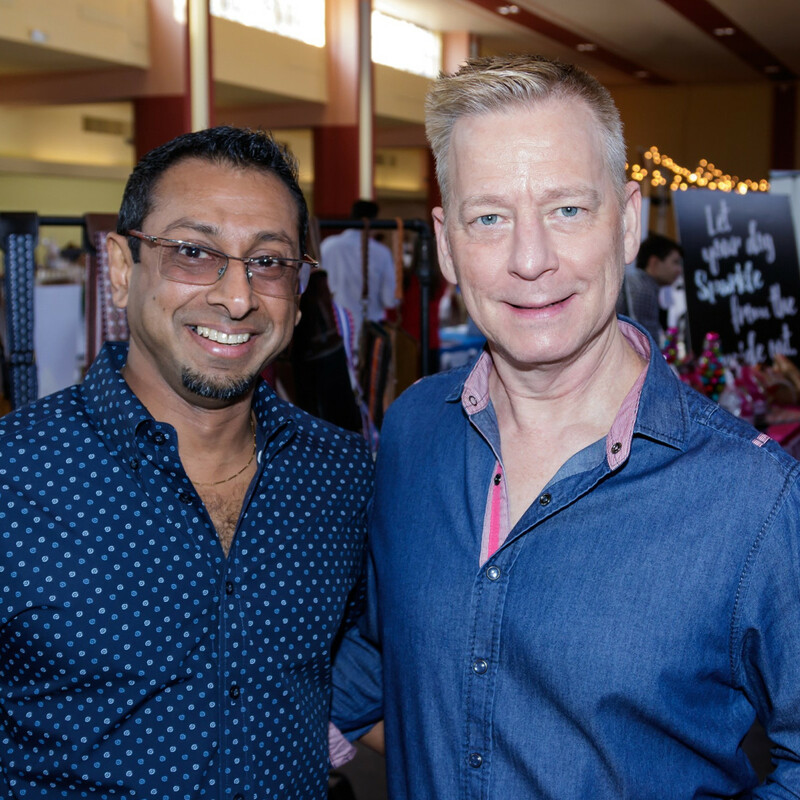 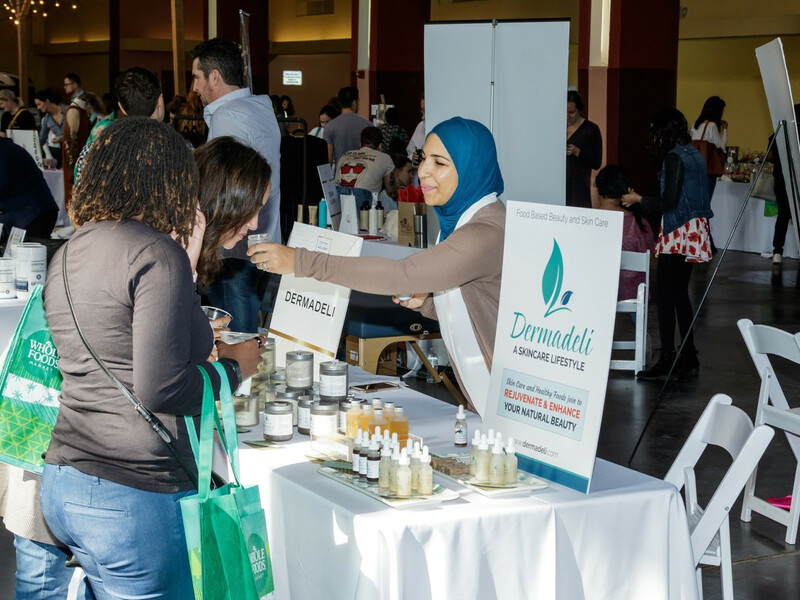 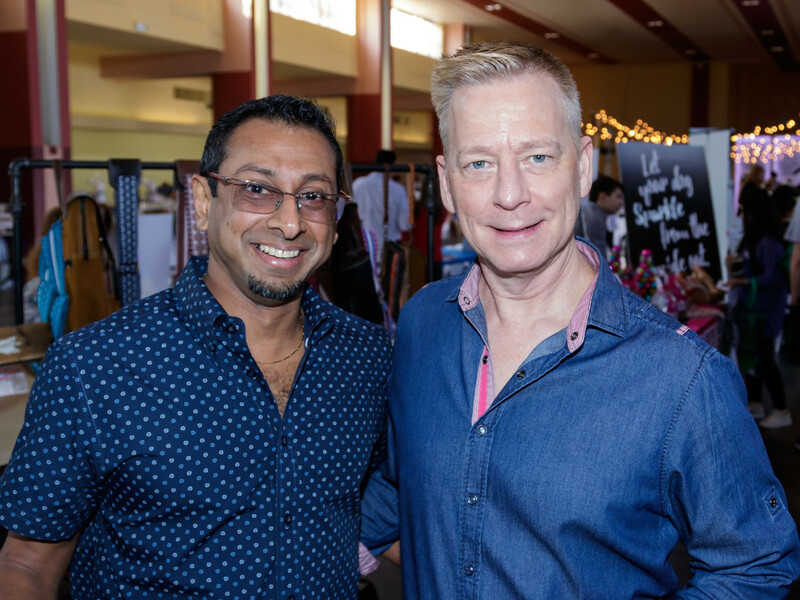 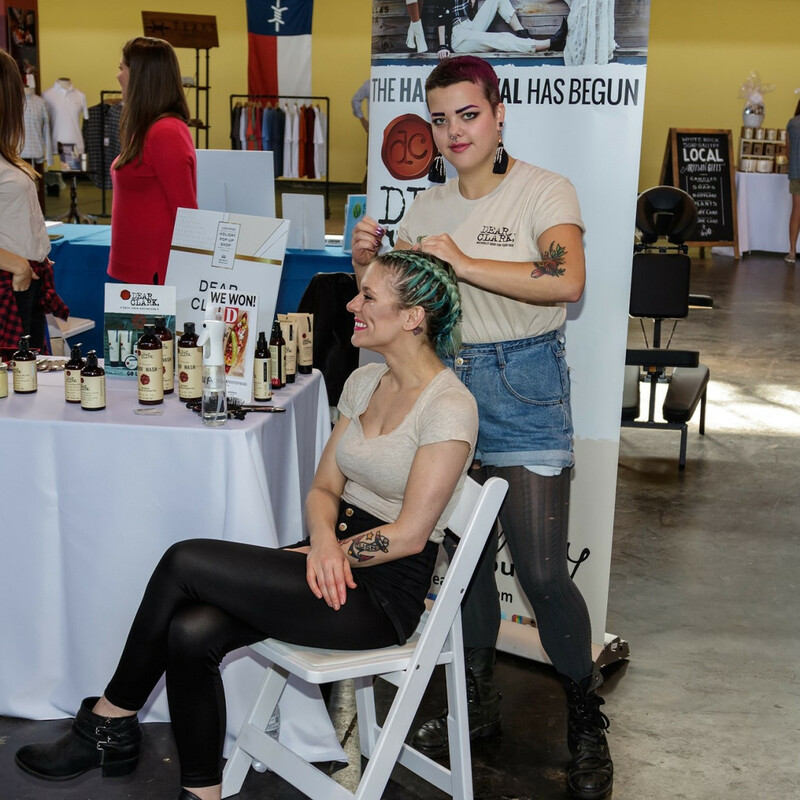 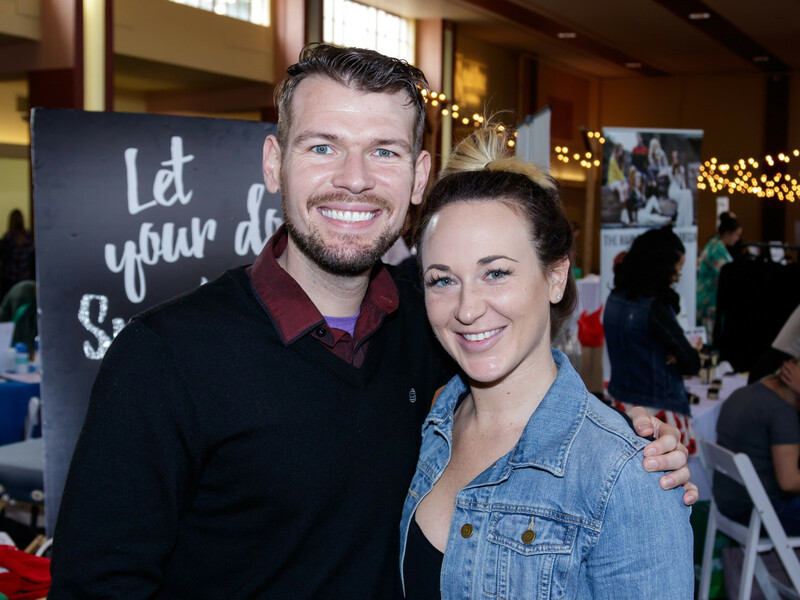 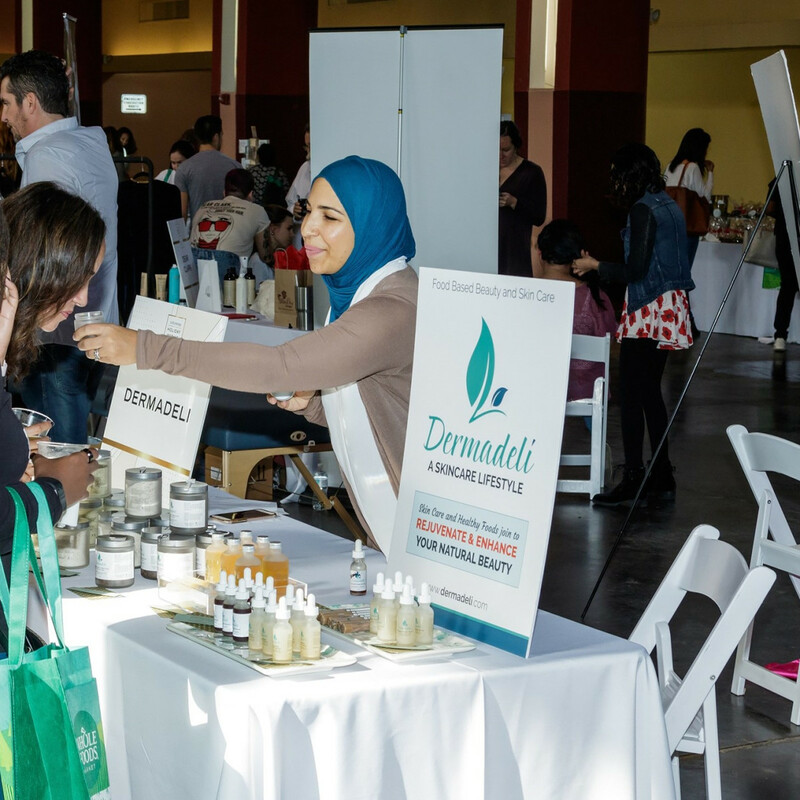 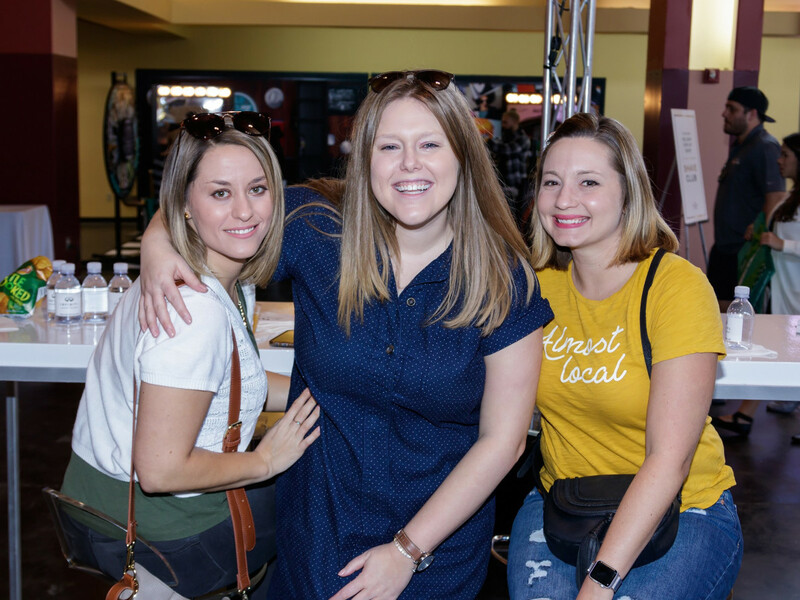 Ranging from stationery to sweets, jewelry to rain boots, florals to skincare, more than two dozen favorite local brands set up shop at the Food & Fiber Pavilion in Fair Park for a Sunday of seasonal fun, sponsored by Infiniti. 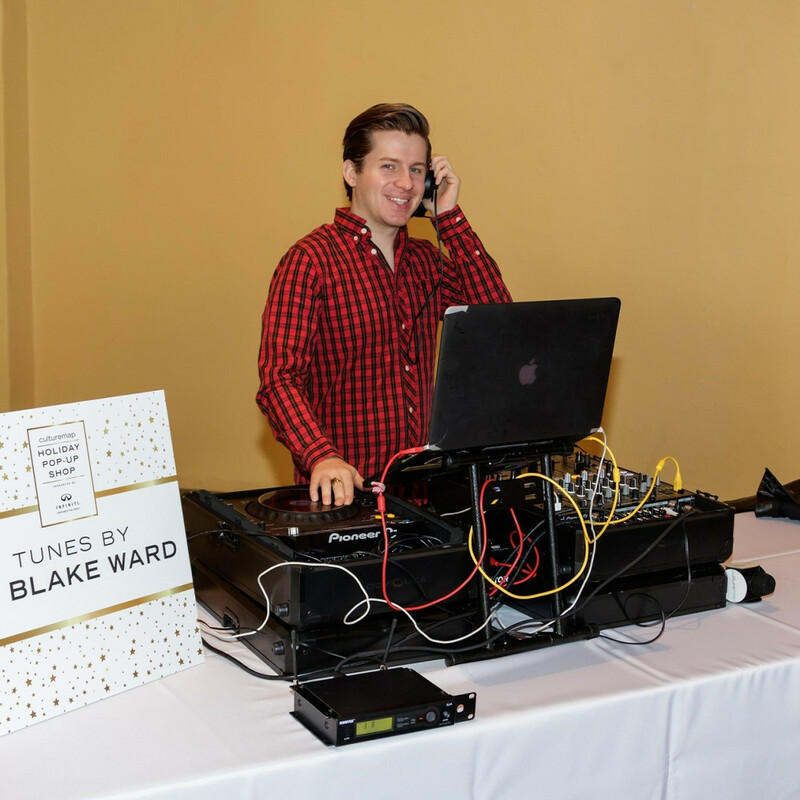 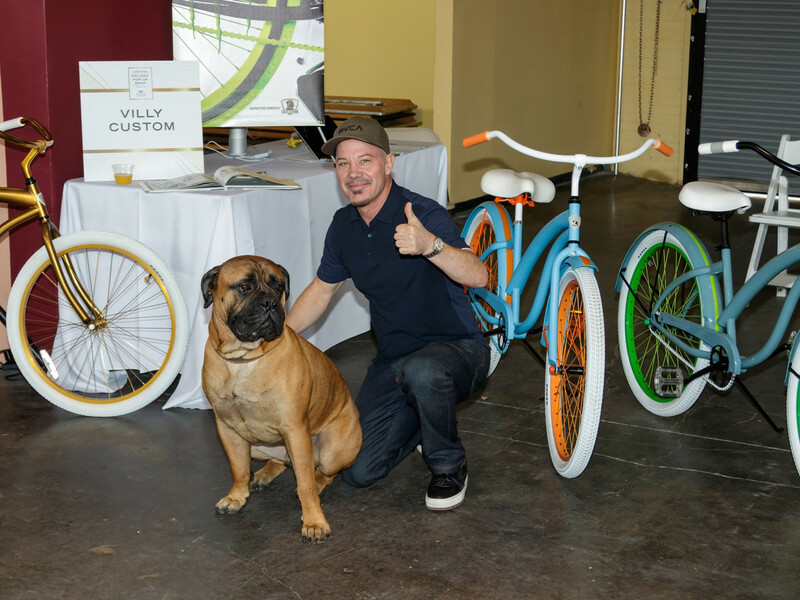 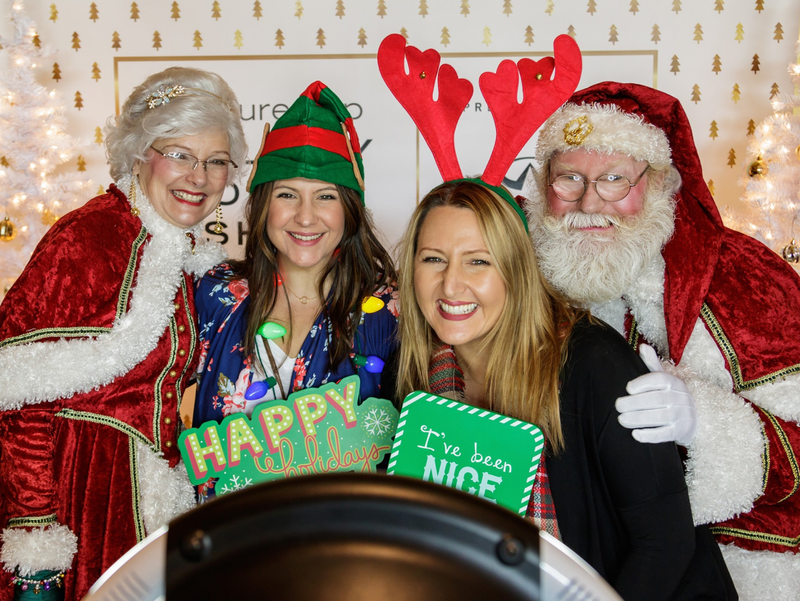 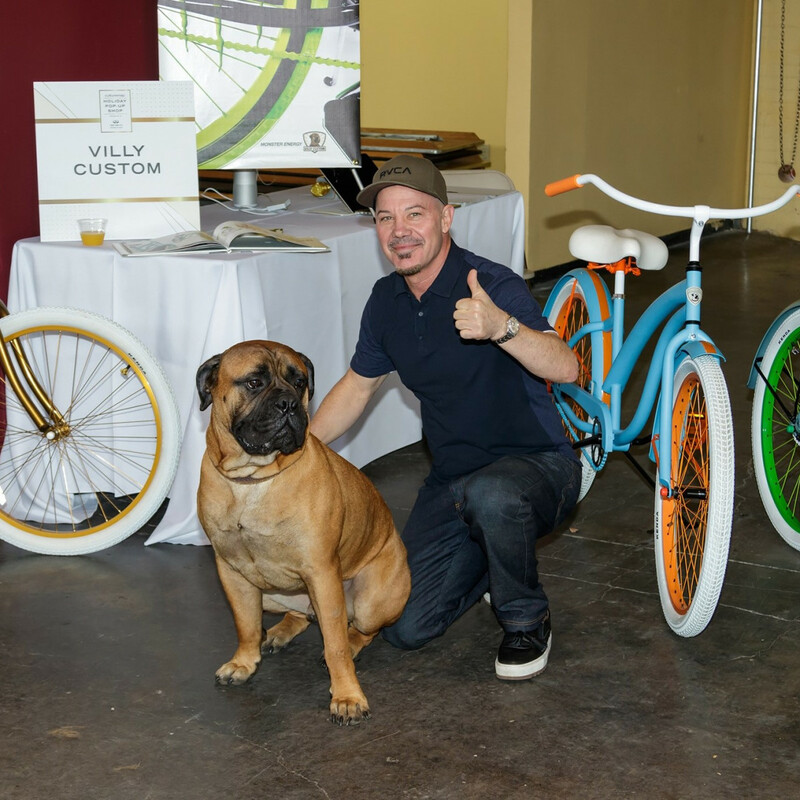 DJ Blake Ward played contemporary and classic holiday tunes as guests entered with unwrapped toys for the event's beneficiary, Ronald McDonald House of Dallas. 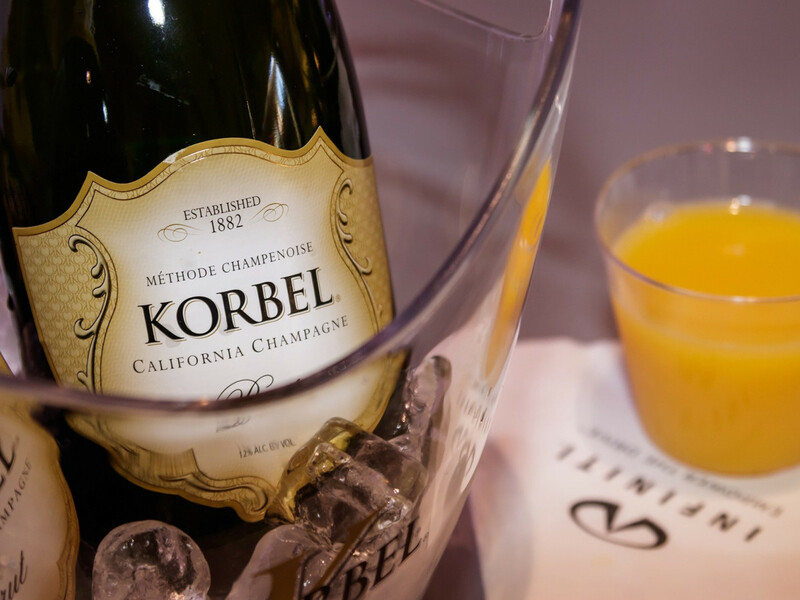 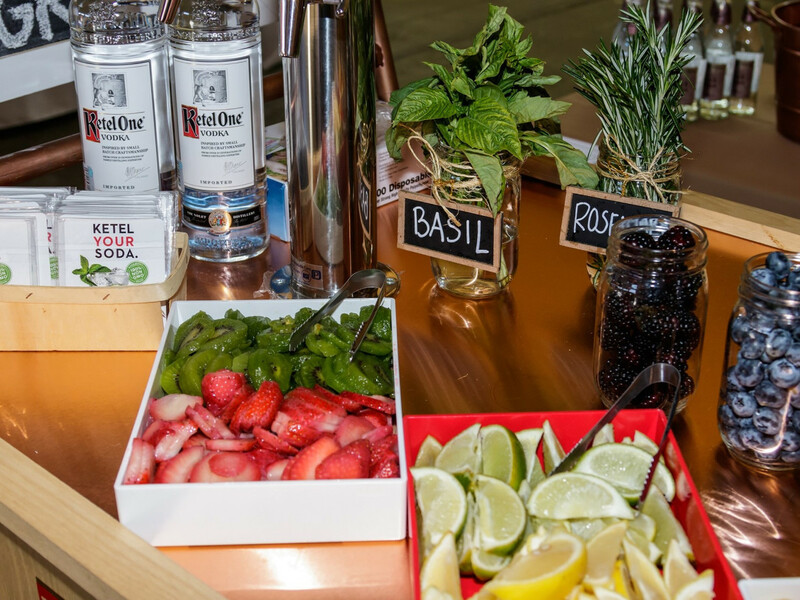 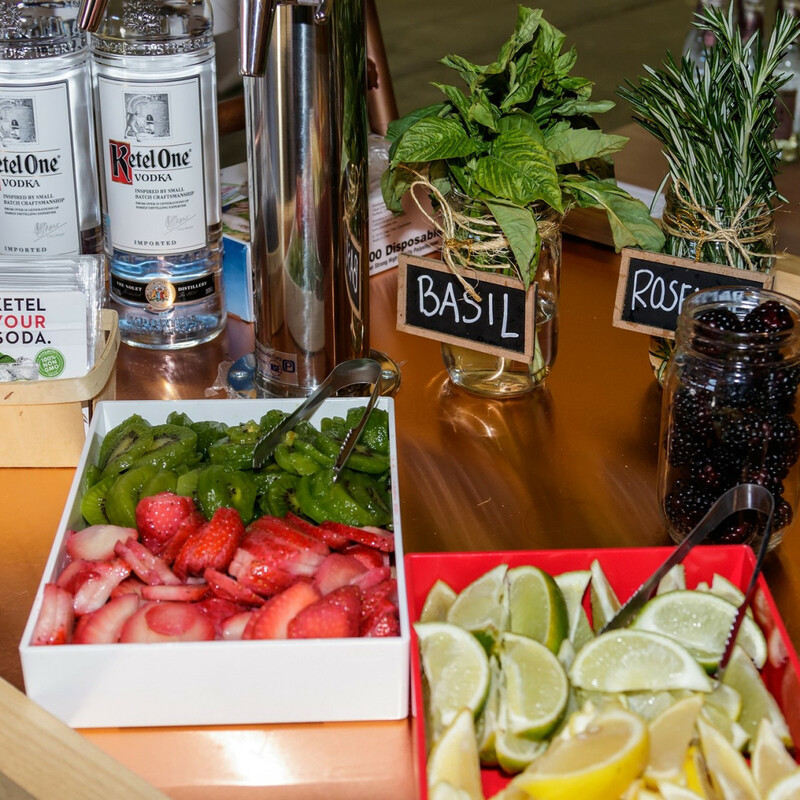 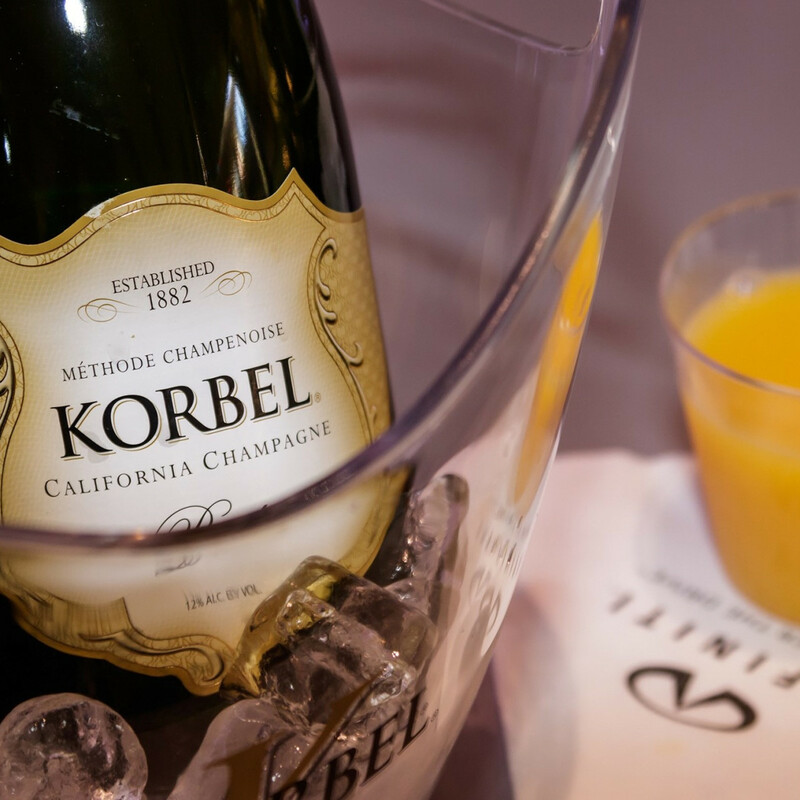 A bubbly bar from Korbel started off the day with mimosas; then shoppers refueled at a custom cocktail cart by Ketel One and a stand serving a stout Gentleman Jack signature cocktail, the Whisky Sling. 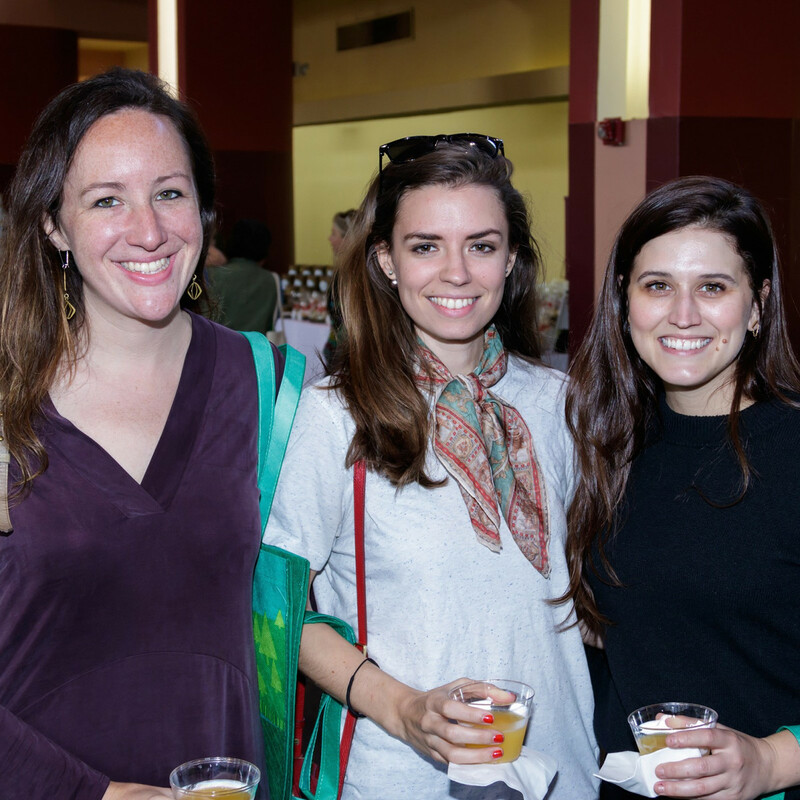 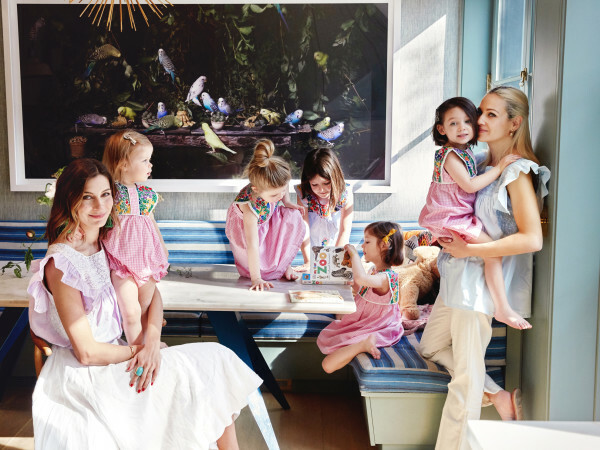 Guests — including Ashley Grohn, Sarah Minjoe, Amanda Saxer, Teresa Fougerousse, Catherine Bradford, Rachel Ficke, Sarah Raggio, Preeya Gemd, Meghan Demicco, Joel Kanhai, David Call, Stephanie Hall, Gitta Black, Meghan Lowrey, Fitz Bailey, Lysandra Pursley, Michaella Gilliland, Joe Gilliland, Kelsey Thompson, and Amber Bufkin — got down to serious shopping business. 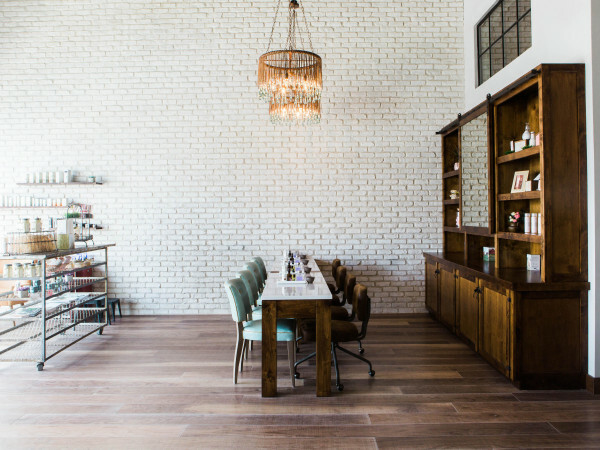 Ladies who love sparkle were drawn to the fabulous finds from Maheen Jewels and Willow Jewels. 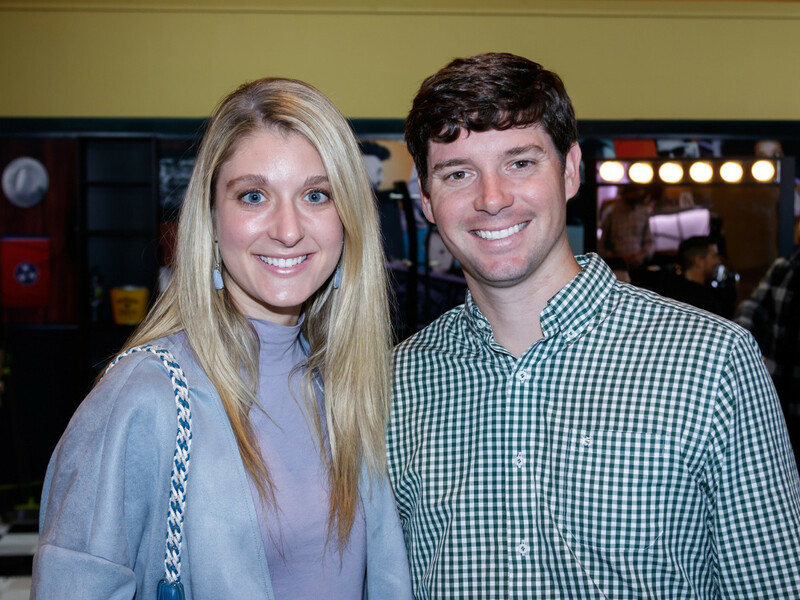 Gentlemen were equally impressed by the apparel and accessories selections at Texas Standard and Jack Mason. 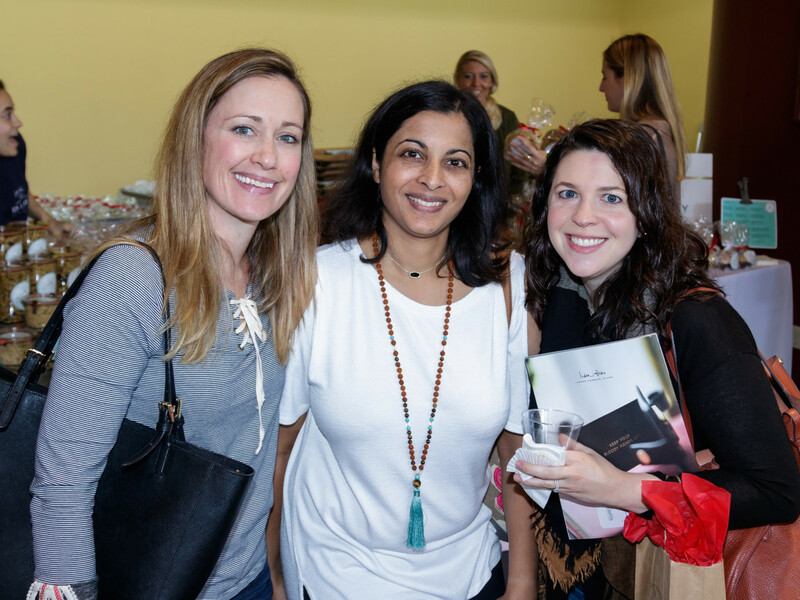 Fashionistas with big hearts stopped by Roma Boots, which gives boots to children in need; GAIA Empowered Women, which supports refugee artisans; La Viajera, which supports weavers in South America, and more. 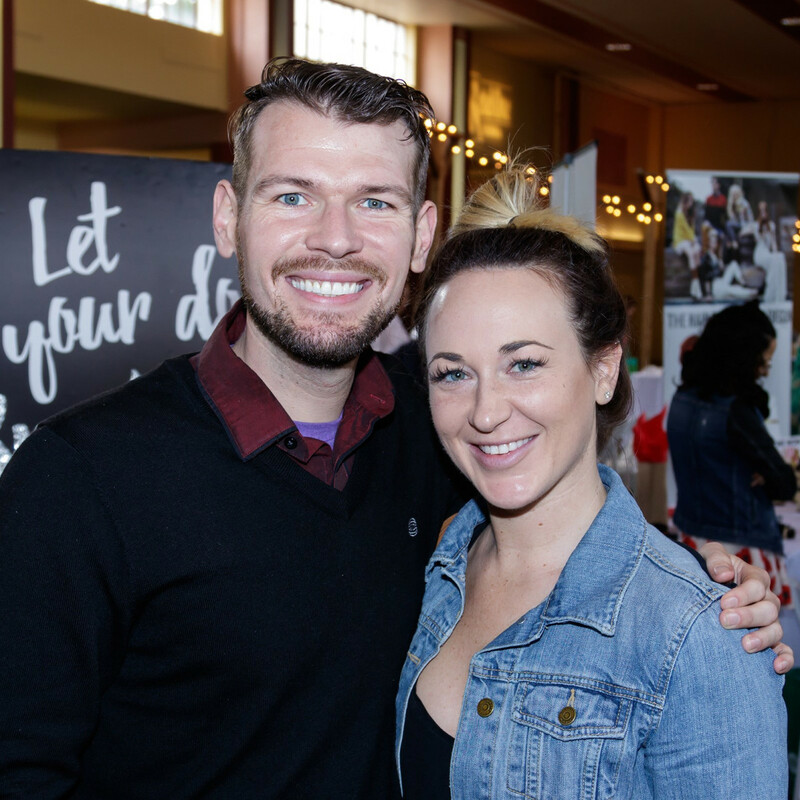 Those ready to nest for the winter bought beautiful succulent arrangements from Urban Spikes; smelled candles and soaps from White Rock Soap Gallery; and picked out home accessories from Neighborhood, Jade & Clover, and more. 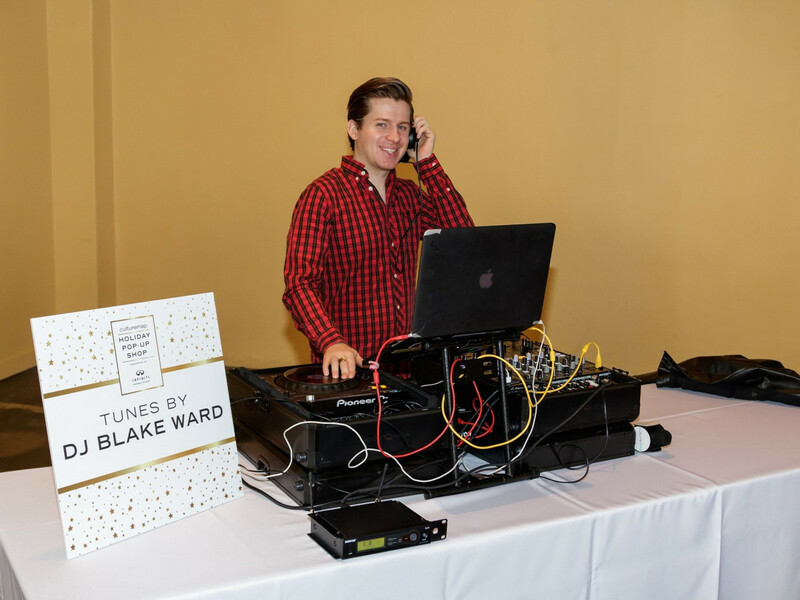 Bullzerk was the go-to for funky finds like religious-themed Dallas Cowboys candles and T-shirts. 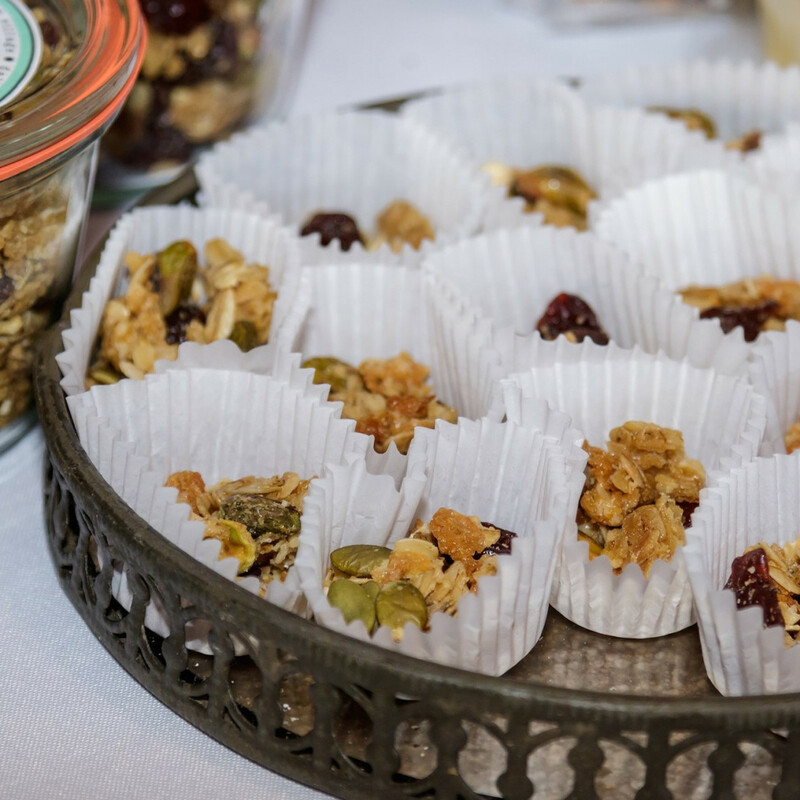 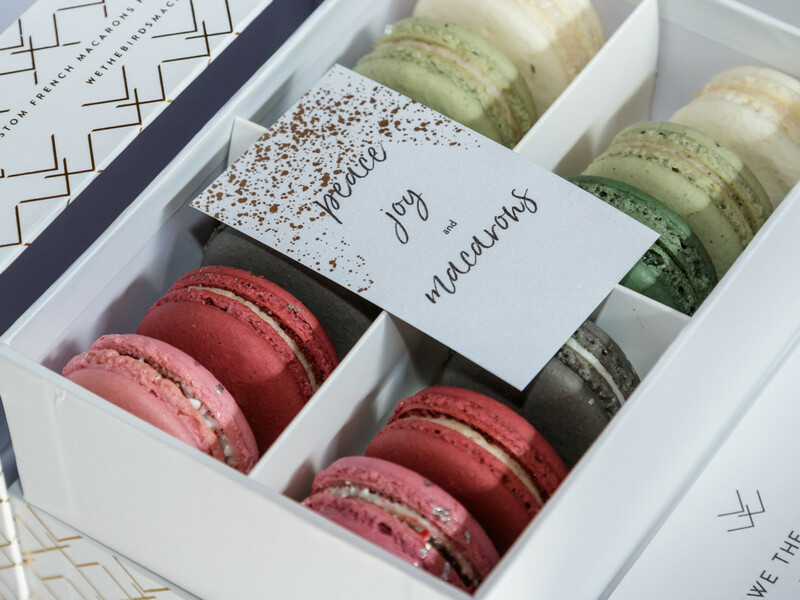 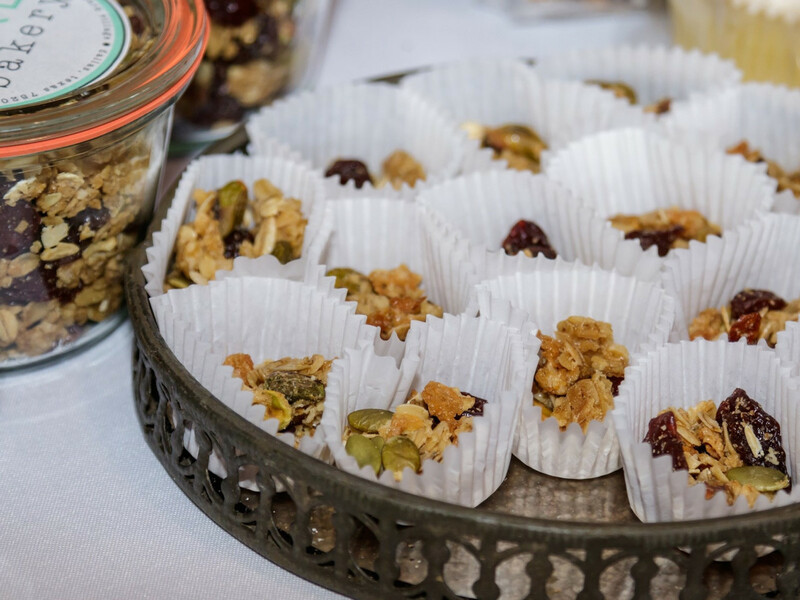 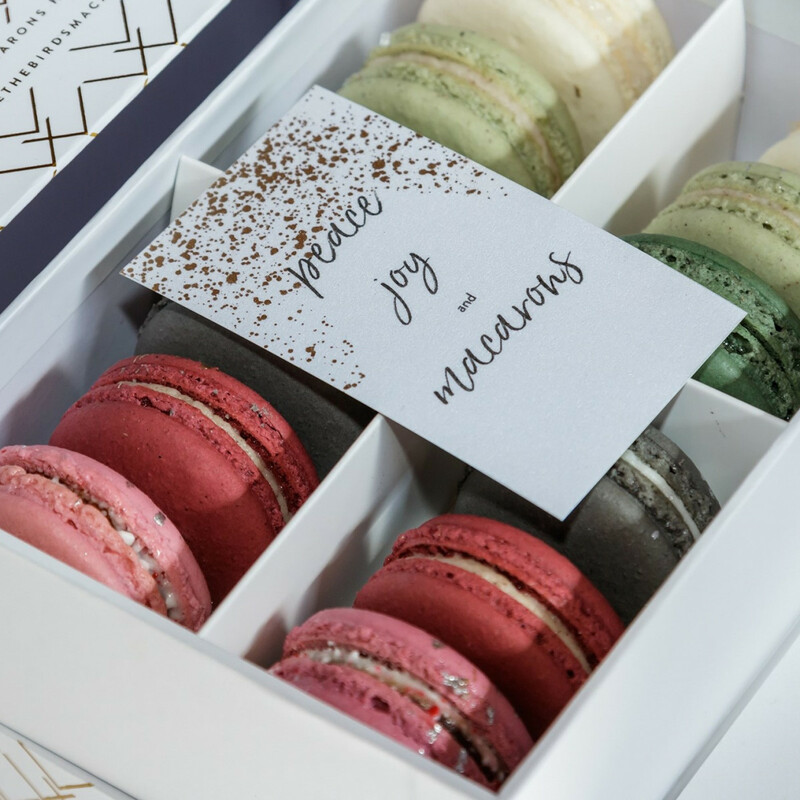 We the Birds, Bird Bakery, and Yims Foods offered food gifts ready for giving — or indulging in on the way home. 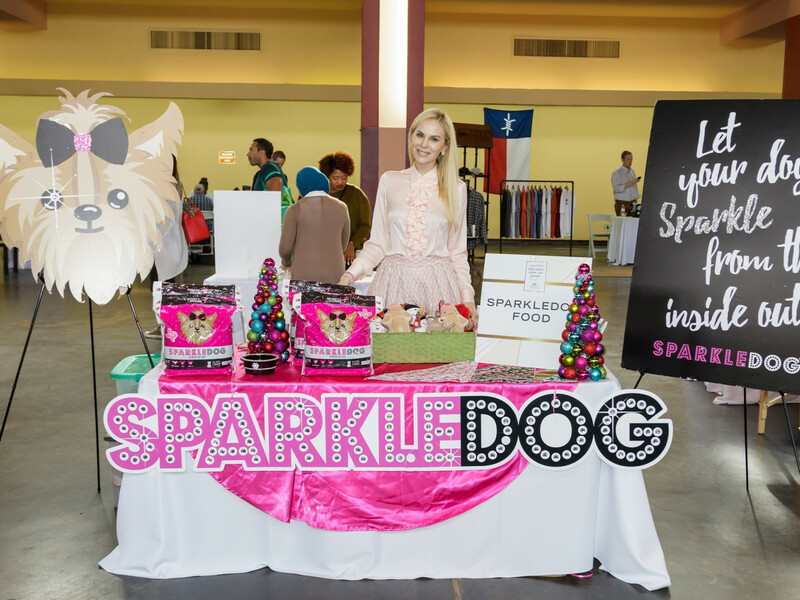 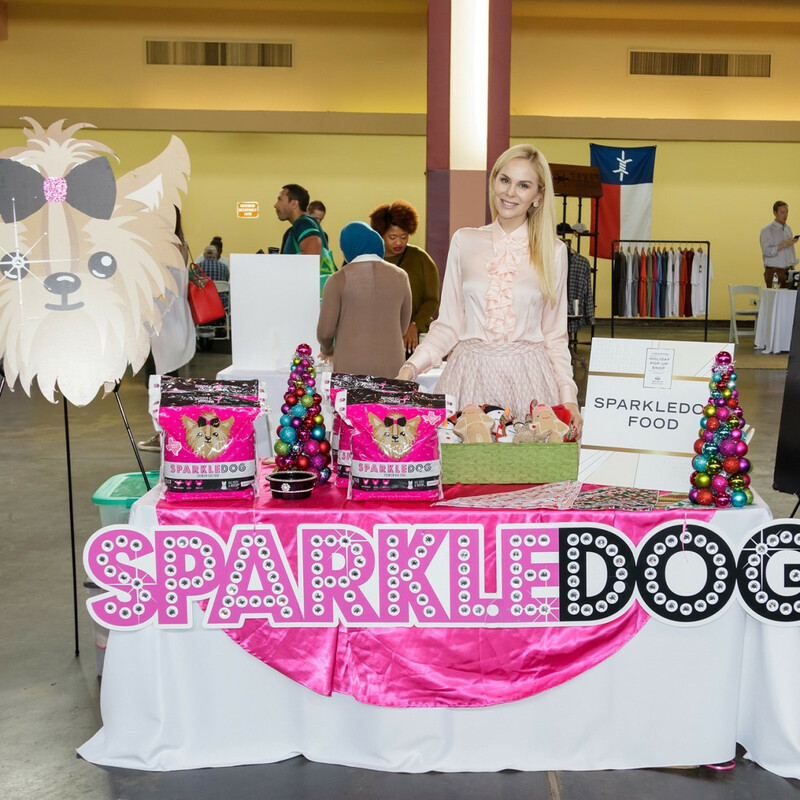 Precious pups were not excluded, as Kameron Westcott, star of The Real Housewives of Dallas, was on hand to sell her pink SparkleDog Food (and to pose for plenty of selfies with fans). 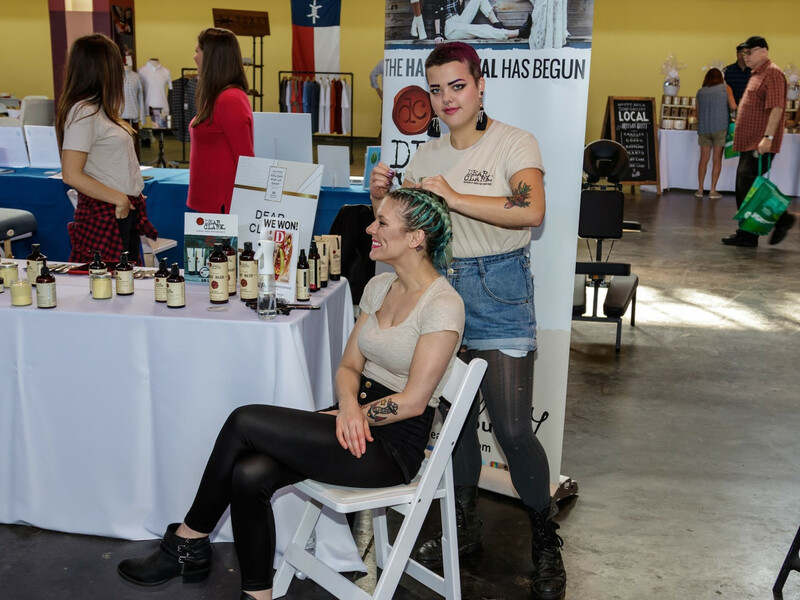 Between purchases, shoppers melted their cares away with free chair massages courtesy of Back to Health. 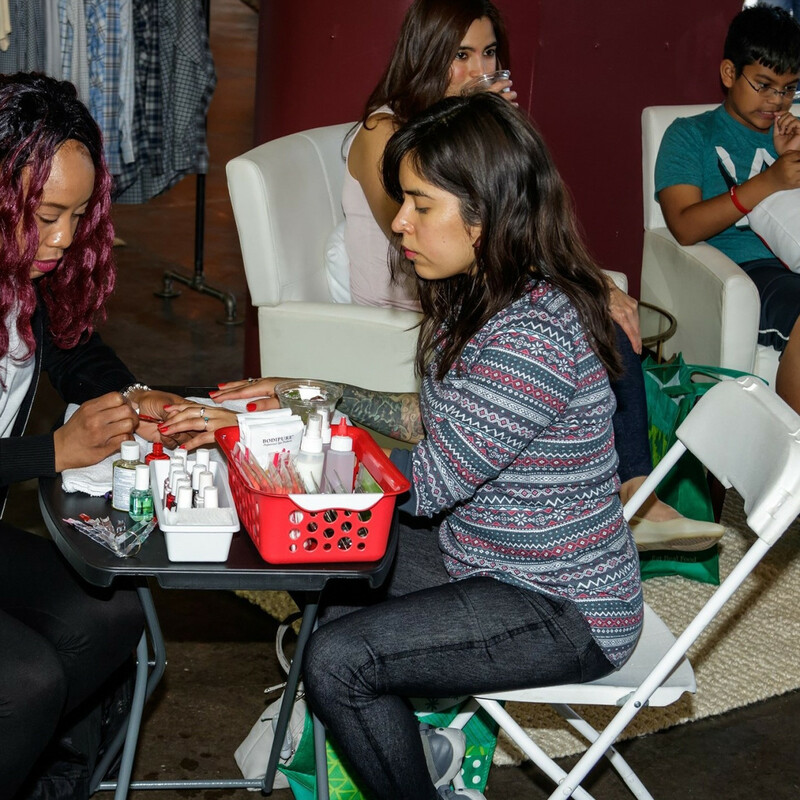 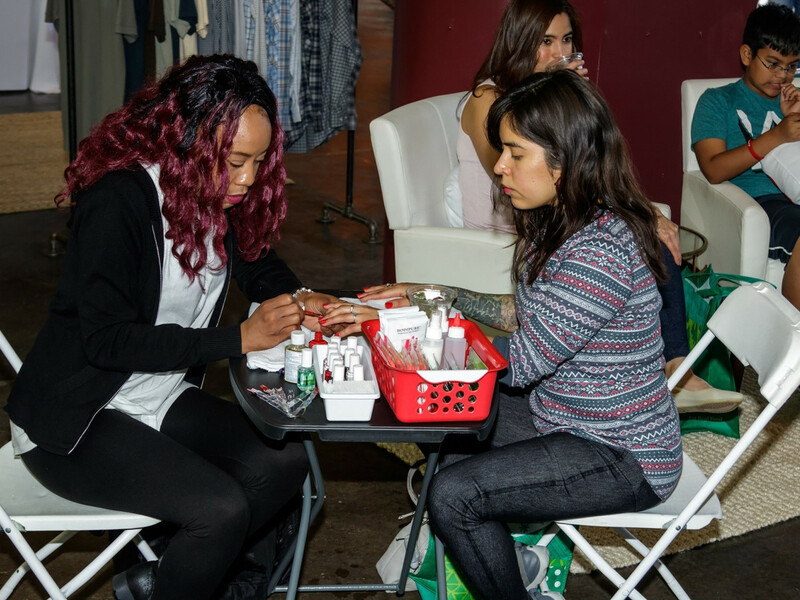 They put their hands together for complimentary classic manicures by Cherry, the new Dallas-based app that delivers nail services on demand. 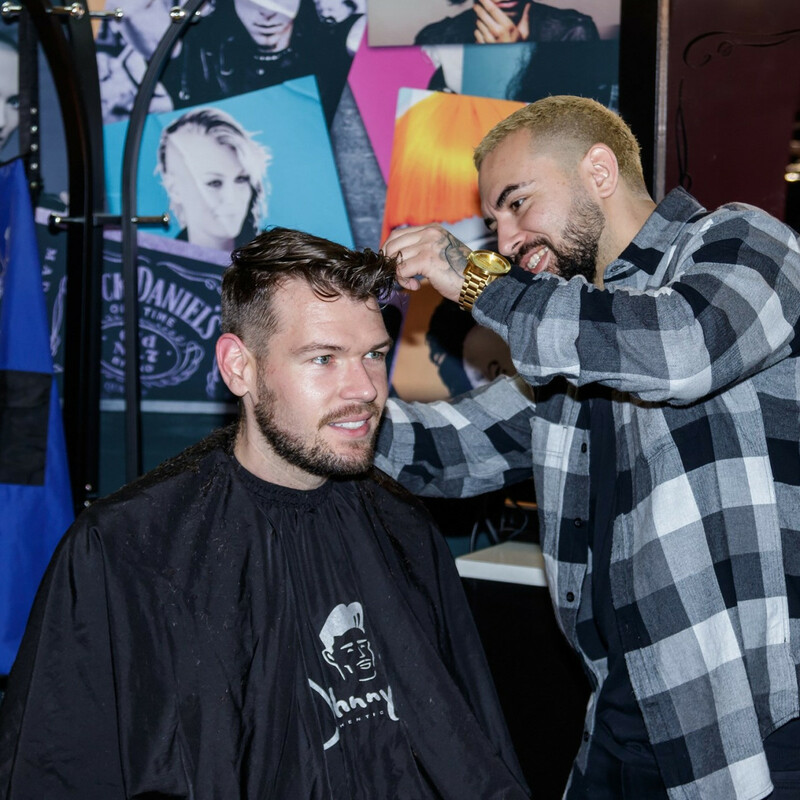 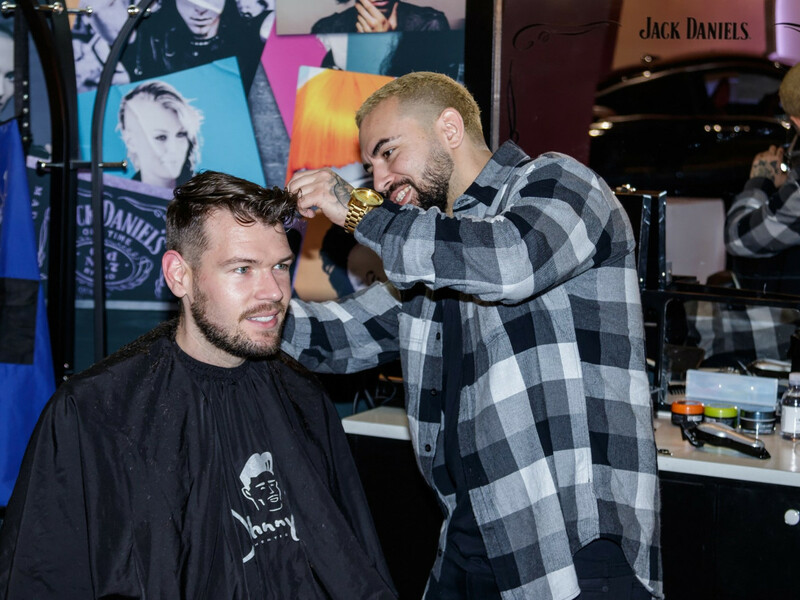 Dear Clark brought an onsite braid bar, and Gentleman Jack set up a barbershop for the guys, which stayed busy throughout the day. 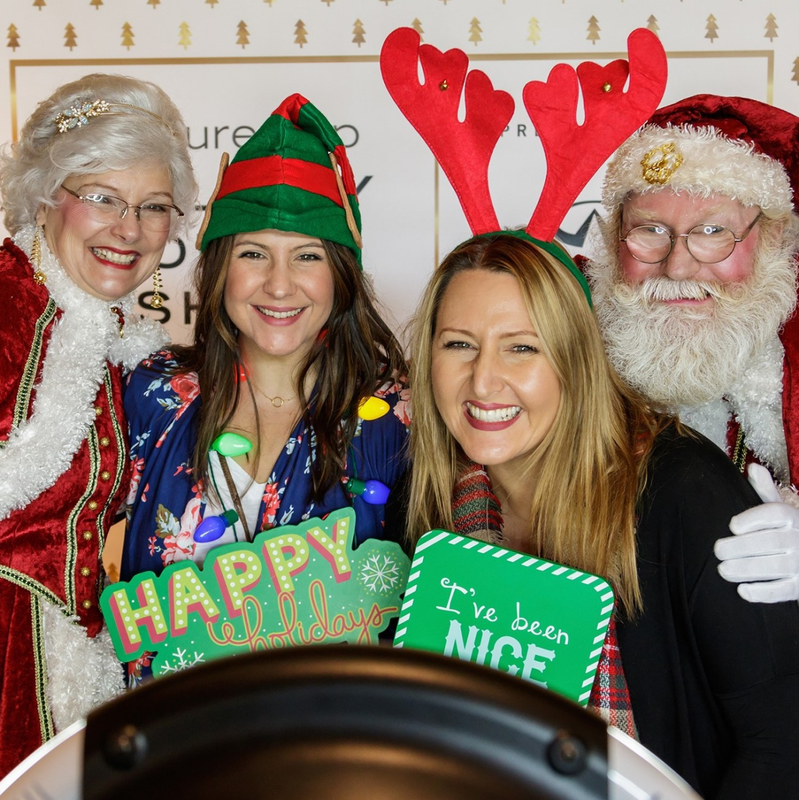 Guests could complete their holiday looks with makeovers by Susan Posnick Cosmetics. 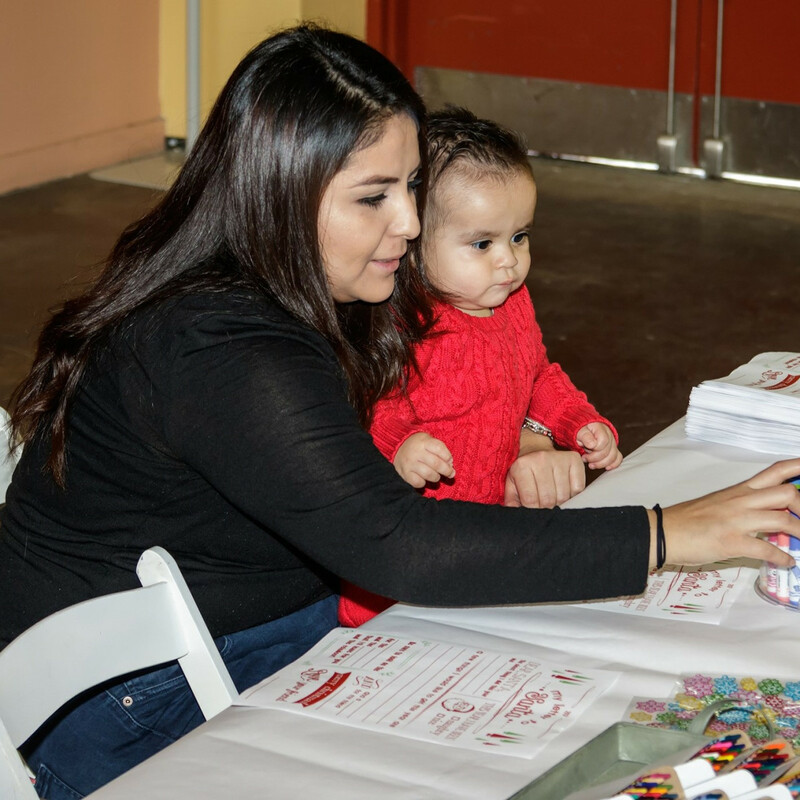 Kiddos got to practice their skills of persuasion by writing letters to Santa, sponsored by Dallas Child. 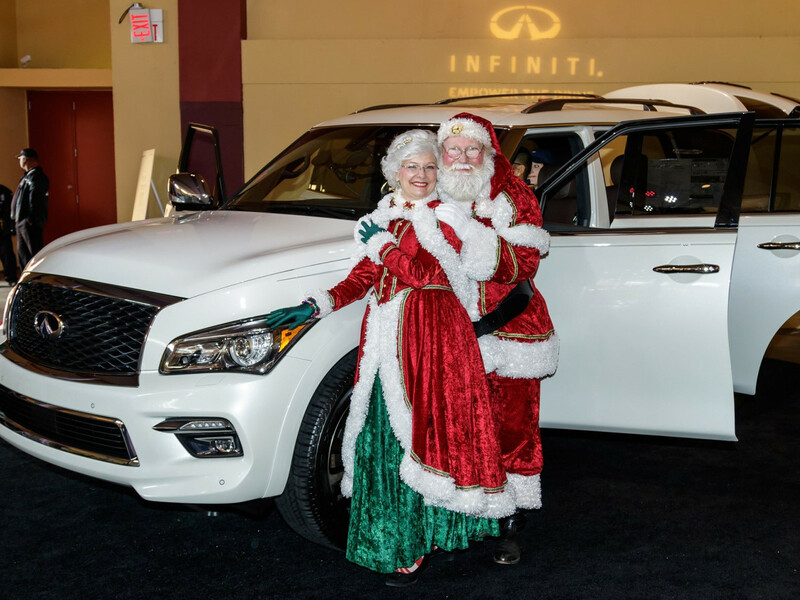 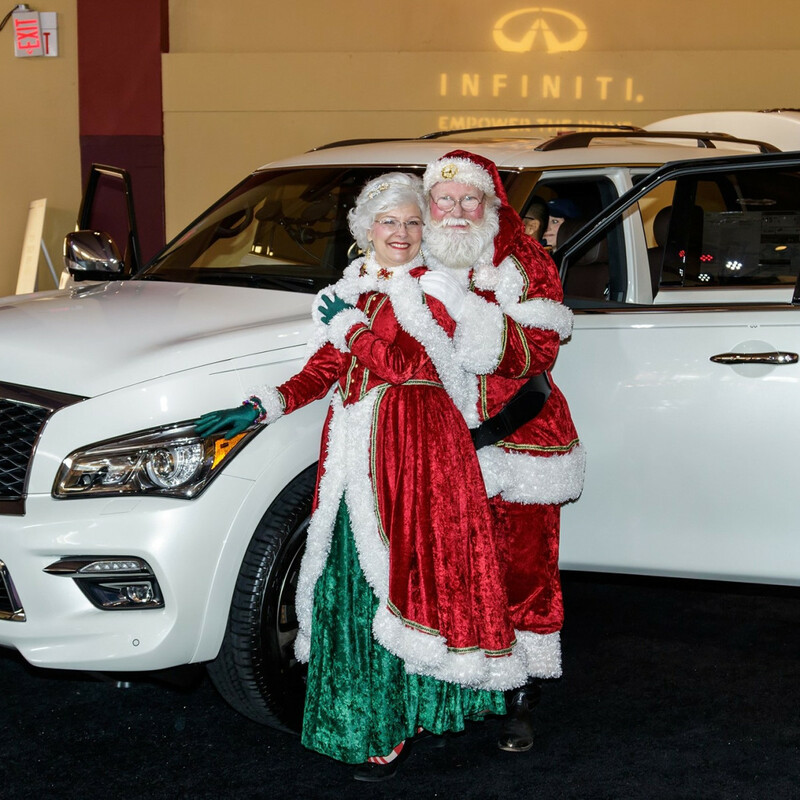 And both the young and the young at heart got official portraits taken with Jolly Old St. Nick, presented by Infiniti. 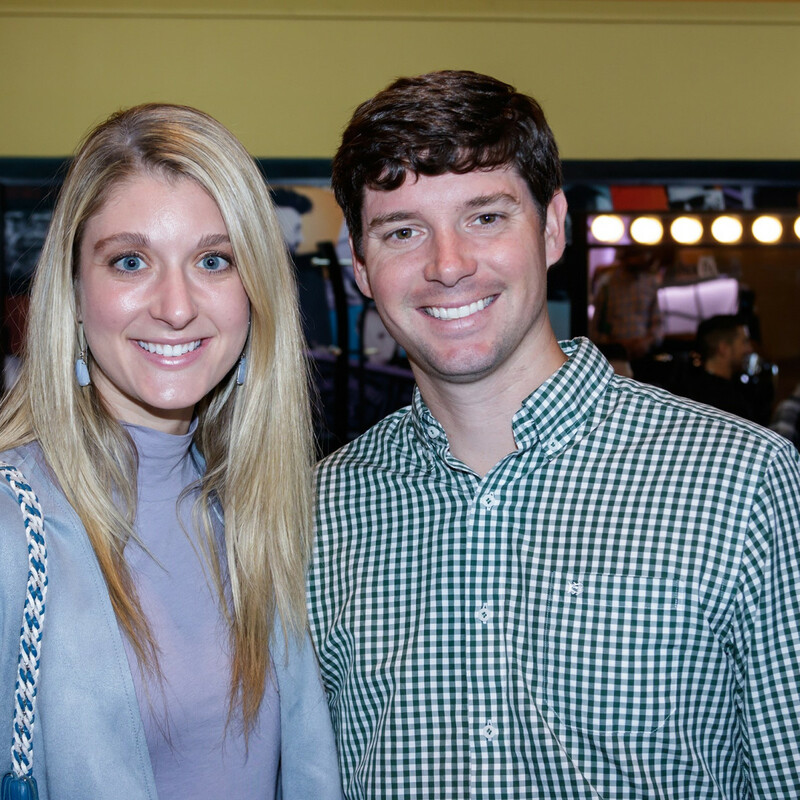 As a holiday bonus, The Foundation Room at House of Blues gave away a one-year VIP membership for two, which includes personal concierge service, first priority for concert tickets, member-only events, complimentary tickets, and access to nightlife in The Foundation Room.